I'm writing these introductory remarks on my phone, this week, so please excuse the brevity and abnormal number of spelling errors (just kidding: the Publications team would never let a spelling error through!). The reason I'm on my phone is that I'm at the airport awaiting a flight home from Toronto to Ottawa, after attending the first-ever IAPP Leadership Dinner held in Canada. The event was great. A very good venue, excellent food, and even better conversation. We spoke about a good number of topics, but some that resonated with me included the idea that maybe organizations should get into the business of collecting information that is NOT personal information. Isn't there a way to still derive value from information without the need for it to be about an identifiable individual? An interesting idea, for sure. And, if it could come to fruition, I think I'd be out of a job pretty quickly! The other idea that emerged and struck a chord with me is the idea of having more prescriptive rules and guidance. Clearly, even after all these years, privacy pros still debate the amount (or lack of) prescriptive detail in our laws. What does it really mean to have reasonable security safeguards? What exactly does it mean that you have to appoint someone to be responsible for privacy? Maybe it's about time we get some real meat on these bones. And, while my thumbs are starting to cramp ... 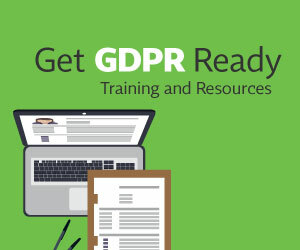 I still wanted to take a moment to announce that the IAPP's first French webinar, focusing on preparations for the EU's General Data Protection Regulation, is now available for viewing. You can access it here. Providing materials in the languages of the world remains a challenge for our profession and professional association. I'm glad to celebrate when things move in the right direction.